Set to arrive at Sports Cards Plus, a.k.a. 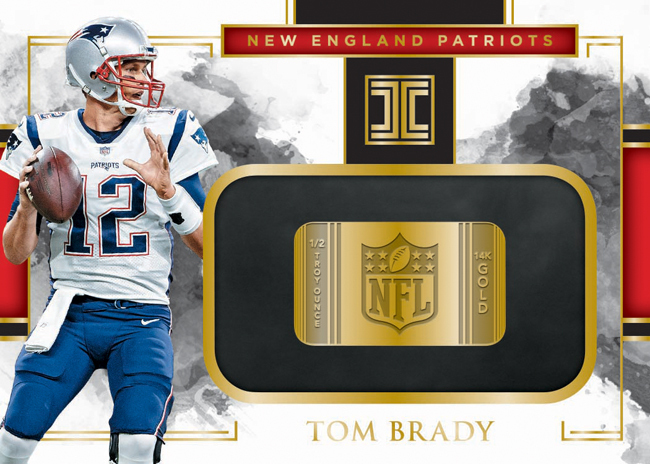 The Super Hit Factory this Friday, October 12th, Impeccable Football ($495 per box) will deliver, on average, five autographs (including at least one Rookie Patch Autograph) in each hobby box (eight cards per box, three boxes per case). 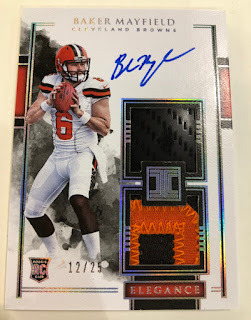 All patch autographs will be numbered to 75 or less. Featuring some of the most attractive designs of the season and brimming with highlights, Impeccable Football is brimming with highlights, including . . .
Look for unique Elegance Rookie Patch Autographs featuring helmet pieces, nameplates, gloves and NFL Shields. 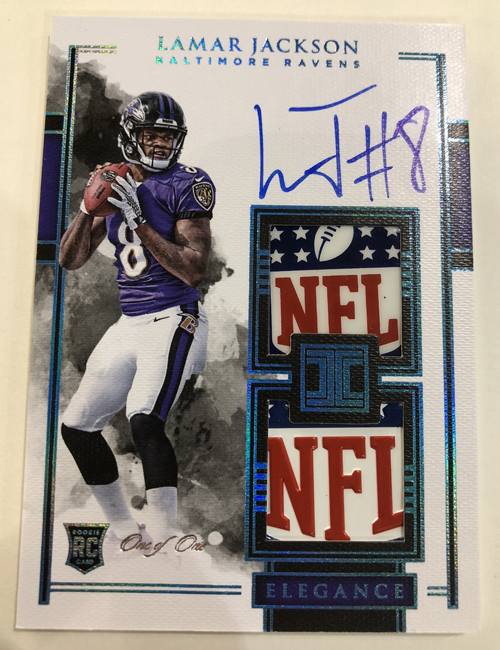 Helmet/Patch Autos are numbered to 75, Helmet/Nameplate Autos are numbered to 25, Helmet/Glove Autos are numbered to 15 and Dual NFL Logo Autos are numbered to one. 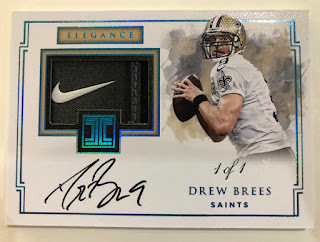 Elegance Veteran Patch Autographs honor the NFL’s best veterans and legends. 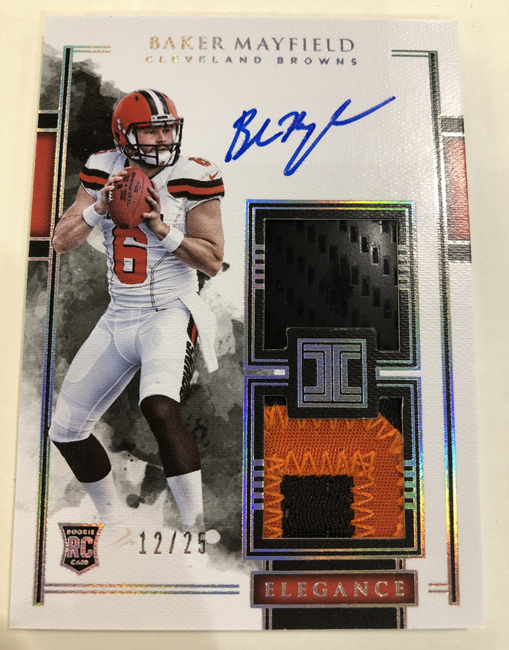 Base Veteran Patch Autos are numbered to 75 or less and are paralleled by Silver (numbered to 25 or less), Gold(numbered to 10 or less) and Platinum 1/1 versions. 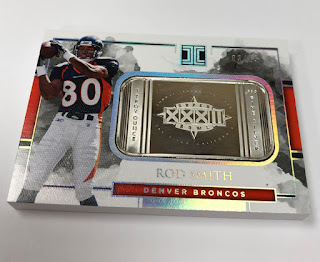 One genuine Silver- or Gold-piece insert per case, on average. 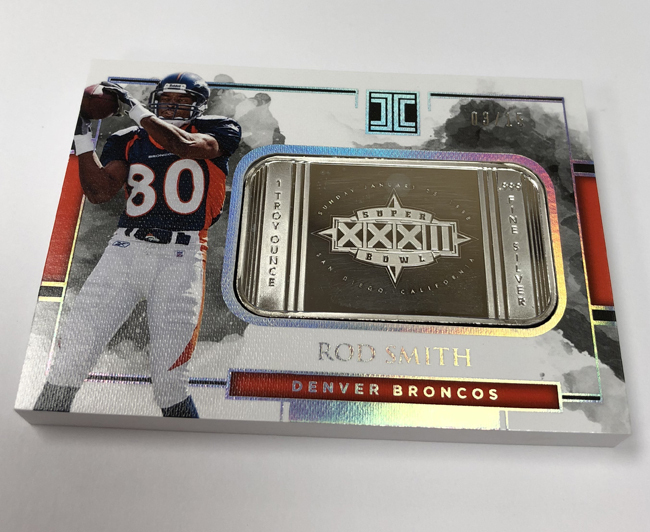 New additions for 2018 include Extravagance Patch Autos, Masterstrokes, Jersey Patches, Silver Super Bowls, Silver 49ers and Silver Broncos. 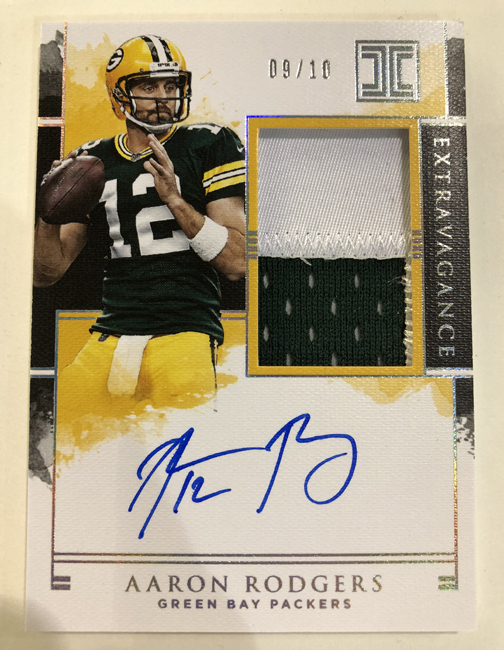 Extravagance Patch Autos feature an oversized jersey swatch and on-card autograph. Base versions are numbered to 49 or less, Silver are numbered to 25 or less, Gold are numbered to 10 or less, and Platinum and Printing Plate versions are numbered to only one. Masterstrokes are numbered to 99 or less and add a bold, colorful splash that really stands out. 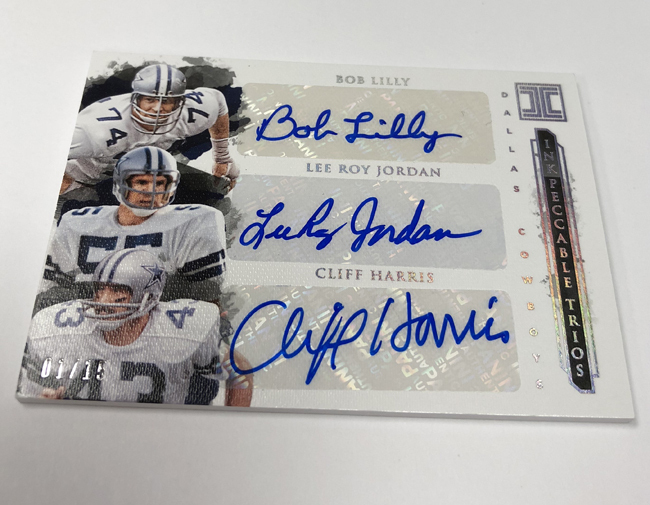 Multi-autograph cards can be found in Impeccable’s Duals, Trios and Quads numbered to 25 or less, 15 or less and 10 or less, respectively.